Home – Appliance Services of NC Inc. Welcome to Appliance Services of NC, Inc.
Appliance Services is the No. 1 choice for service and repair of your major home appliances. Family owned and operated, we service all major brands and manufacturers. Whether your refrigerator needs to be repaired or you need a new stove, Appliance Services can repair it all! We serve the Triangle area and the Greater Raleigh metro area, including Raleigh, Durham, Chapel Hill, Wake Forest, Garner, Clayton, Cary, Apex, Morrisville, Knightdale, Zebulon, Wendell, Fuquay-Varina and Hillsborough. We guarantee all of our work. We offer a free service call with any repair. Contact us today for more information and see how we can help you! We offer fast, honest and reliable service to the Triangle Area. Click here to find out more. 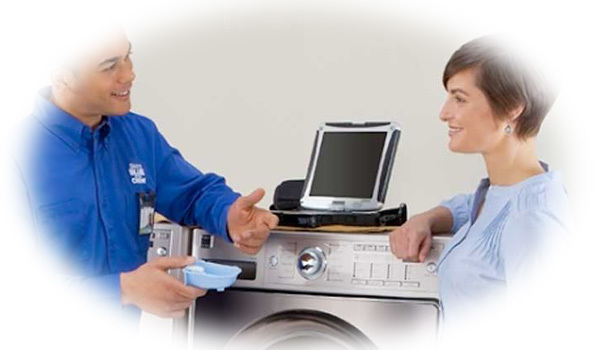 We service all major brands of appliances and almost all types. Click here to find out more. We offer service from 8am to 8pm Monday thru Saturday. You can reach us at 919-740-3520 or click here to email us. "Ricardo did an awesome job fixing our microwave and dryer"
"He was there on time, prepared and the part was installed in 15 minutes. Very professional And competent "